After last bank holiday's epic warm weather (it was an unusually hot 27 degrees here in Essex on Monday) I'm certainly in full on Spring/Summer mode now. The coats, boots and knitwear have officially all gone away and I've slowly been getting out the floral dresses and sandals, scouring online for things that I can add, to update last year's outfits. As well as new bits and pieces that catch my eye this year, which at the moment have to be jumpsuits and espadrilles. 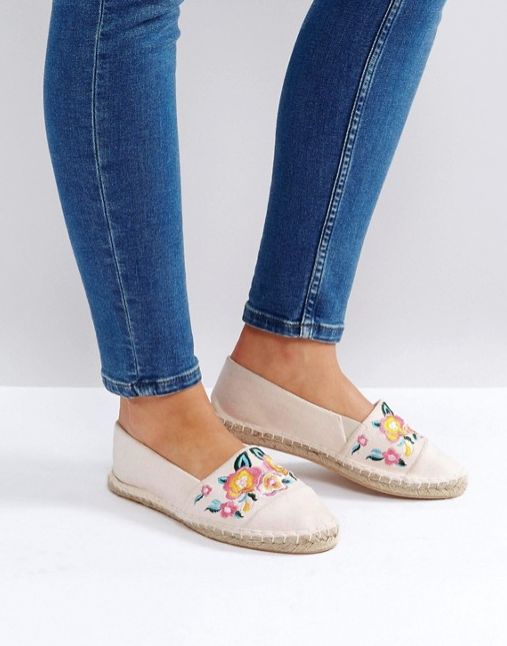 Espadrilles have always been on my radar, and I've owned a few pairs in the past, but they seem to be having a bit of a moment in the shops again right now. Made fashionable in the 1940's by Lauren Bacall, in the movie Key Largo, the styles have since evolved and there's a tonne of different styles, for every taste and budget. Not only great for holidays and traveling, they're also an easy run about town kinda shoe, as they're lighter than a pair of trainers, but keep your feet covered if the Spring air turns a bit nippy, which we're pretty used to here in Blighty. I picked these lovely floral ones up from ASOS earlier this week. A steal at only £14, they're also surprisingly comfy, and the floral print, well it's yellow and pink for a start, and with a plain old pair of jeans, and a t shirt, (pretty much my uniform at the moment when I work from home) they kind of make me look like I've made a bit of an effort with my outfit. The embroidered floral print has got a 70's retro vibe to it as well, which is also another love. 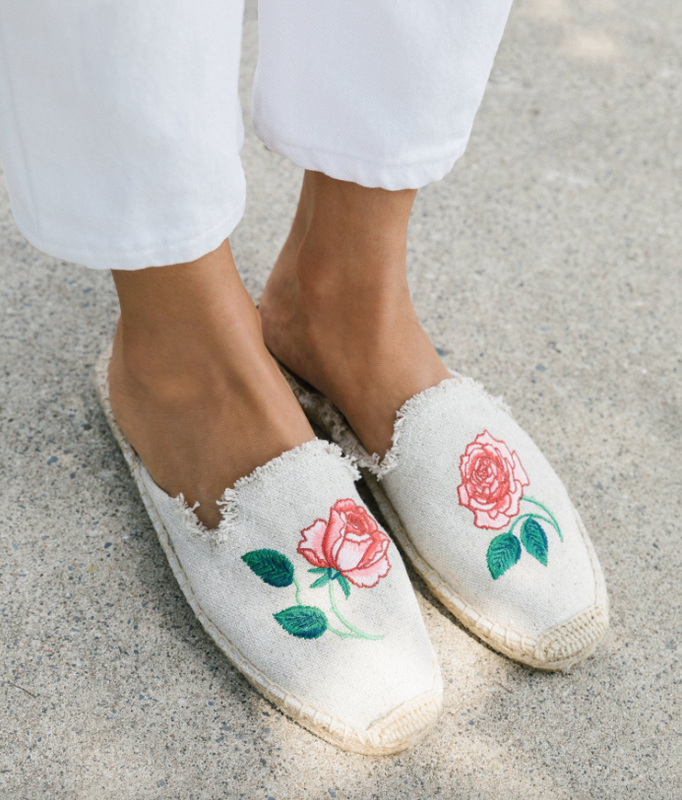 I will more than likely be purchasing another pair of espadrilles before the Summer's out, I'm definitely sold again on the classic style.